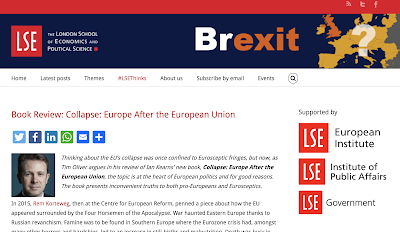 I've reviewed Ian Kearns new book 'Collapse: Europe After the European Union.' 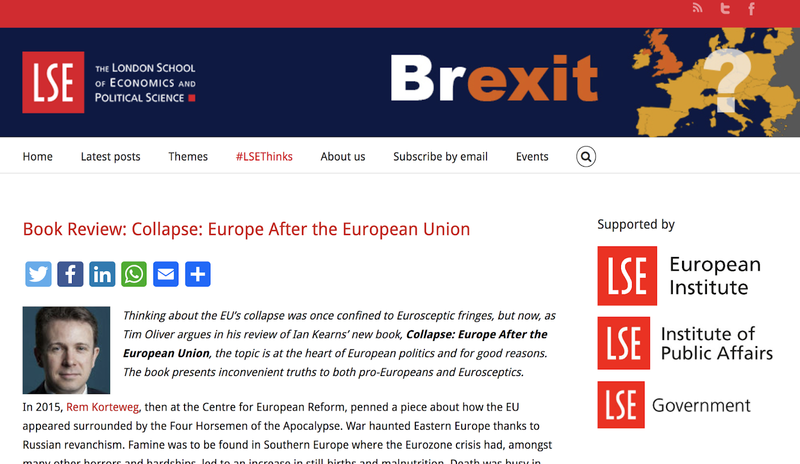 The review can be found on the LSE's Brexit blog. I've long worried that both pro-Europeans and some Eurosceptics fail to think through what Europe would look like without the EU. This book shares that concern. This book is filled with inconvenient truths for pro-Europeans desperate to believe all will be fine and Eurosceptics determined to be rid of the EU but who have given no thought to what Europe would then emerge.